If data storage enthusiasts had been involved with the Star Wars saga these words may have been spoken by leaders of the federation, “It is time for a storage platform to rise! It is time for secure, reliable and cost effective data preservation. It is time for LTO generation-8 technology.” Yoda may have exclaimed “May the tape be with you,” instead of the force. In this BlogBytes, we will discuss tape development advancements, the benefits of LTO-8 tape, what OBI-Wan Kenobi says about the tape force and a fun Star Wars style storage video. In a memorable Star Wars scene, Obi-Wan Kenobi could have said these final words to Luke Skywalker before being cut down by Darth Vader, “The Tape Force will be with you…Always.” Ok – he didn’t say tape, but with advances made in storage development, tape technology will be with us for the foreseeable future. In a recent demonstration, a new tape technology was developed capable of storing 201 gigabits of data per square inch, which could allow a single tape cartridge to store up to 330 TB of native data! This achievement helps solidify the path for tape storage advancement far in to the future. 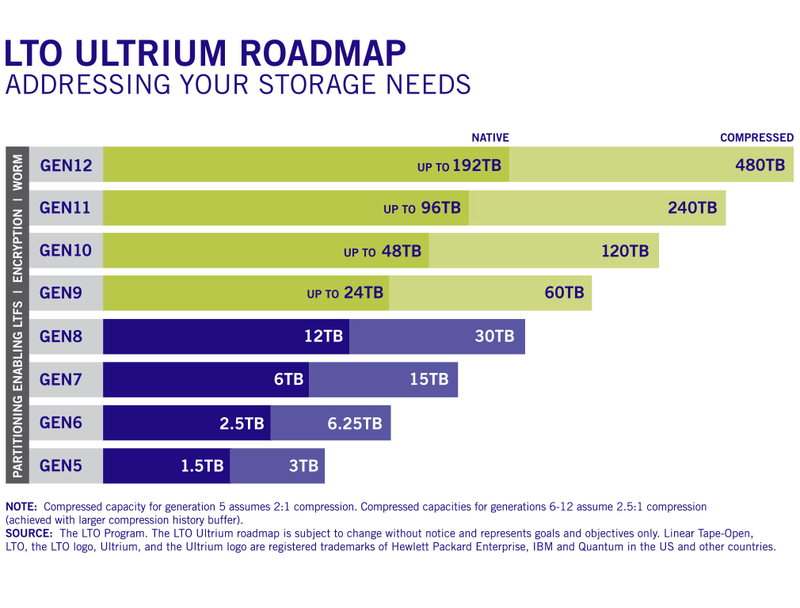 Not to mention, the LTO Program has expanded the LTO Technology Roadmap to generation-12 with a capacity of 192TB native and up to 480TBs with compressed data. See the updated LTO Technology Roadmap here. Double the Capacity: With up to 30TB of compressed data per LTO-8 cartridge compared to its LTO-7 predecessor, you can now double the amount of data stored using fewer cartridges – which improves precious data space helping save investment dollars in the long-term. 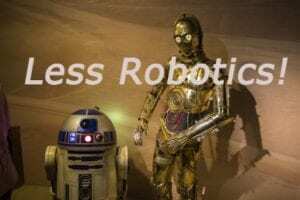 You can reclaim tape library slots, nothing against R2D2 and CP30, but this means less robotic handling which can help conserve tape library expense. Fewer cartridges to store more data means less off-site storage handling as well, saving even more IT dollars. Data Security: LTO-8 technology continues support of hardware-based tape drive data encryption, which prevents the tape contents from being read in case the tape gets in to the wrong hands. In addition, LTO technology provides total “air-gap” storage protection for added security. Using tape’s removable media separates the data from the systems preventing electronic access because the media is no longer attached, thus helping to prevent maleficence from hackers, malware, ransomware and the dark side! 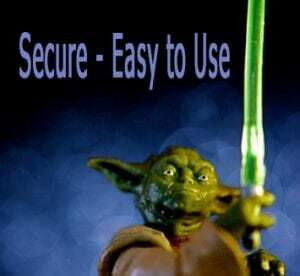 Ease of Use: LTO-8 supports partitioning, enabling the use of the Linear Tape File System (LTFS), which makes viewing and accessing tape files easier than ever before in a similar manner to using a disk or USB drive, (or even a light saber)! The use of tape libraries makes tape easy to manage, reducing the number of personnel involved because the automation can do much of the work! The future is bright for data storage information preservation. 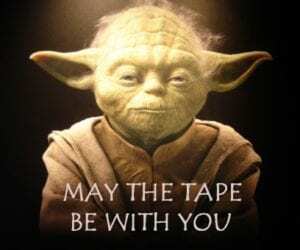 May the tape be with you! Want to make sure you don’t miss LTO program storage news? Join our mailing list here.